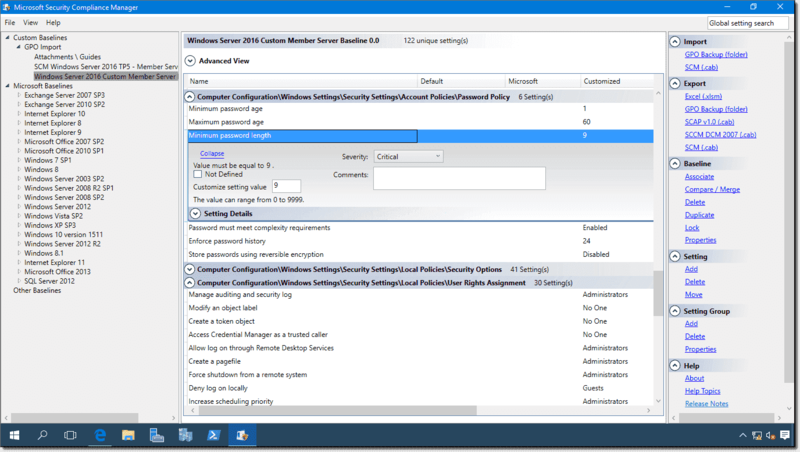 As you know, different Windows Server workloads have different security requirements. Today, I'd like to teach you how to use the free Security Compliance Manager (SCM) tool. 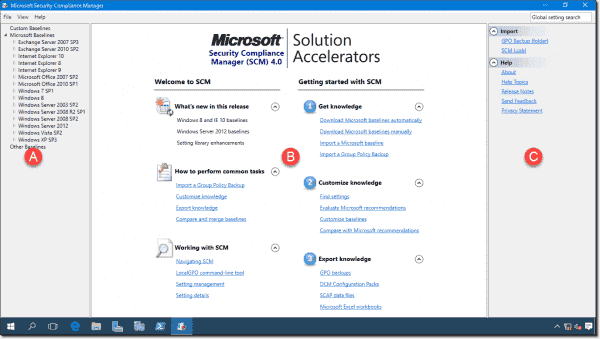 SCM is one of Microsoft's many "solutions accelerators" that are intended to make our lives as Windows systems administrators easier. In part one, we'll cover installing the tool, setting it up, and creating baselines. In part two, we'll deal with exporting baselines to various formats and applying them to domain- and non-domain-joined servers. Let's begin. Sadly, SCM is poorly documented in the Microsoft TechNet sites. In fact, if you Google security compliance manager download, you'll probably reach a download link for a previous version. 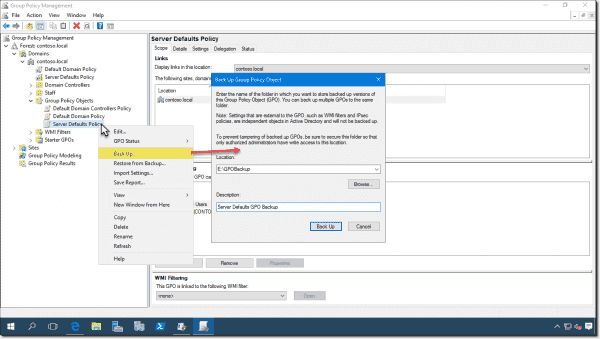 To manage Windows Server 2016 and Windows 10 baselines, you'll need SCM v4. Go ahead and download SCM v4.0 and install it on your administrative workstation. SCM is a database-backed application; if you don't have access to a full SQL Server instance, the installer will give you SQL Server 2008 Express Edition. NOTE: I've had SCM 4.0 installation fail on servers that had Windows Internal Database (WID) installed. 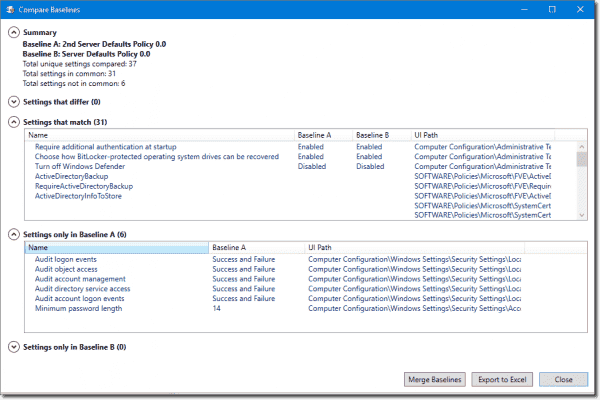 The installer detects WID and won't let you override that choice, leading to inevitable setup failures. This behavior is annoying, to be sure. After setup, the tool will start automatically. As you can see in the following screen capture, SCM is nothing more than a Microsoft Management Console (MMC) application. I'll describe each annotation for you. A security baseline is nothing more than a foundational "steady state" security configuration. 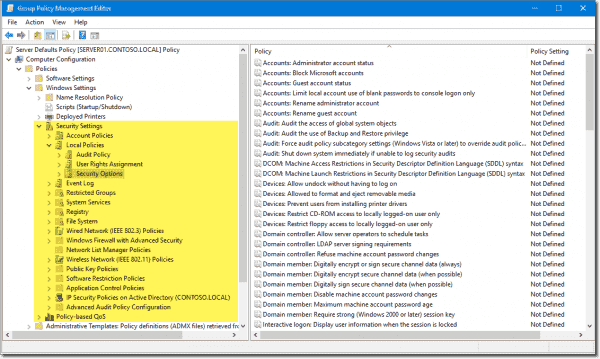 It's a reference against which you'll evaluate the Group Policy security settings of all your servers and, potentially, your client devices. 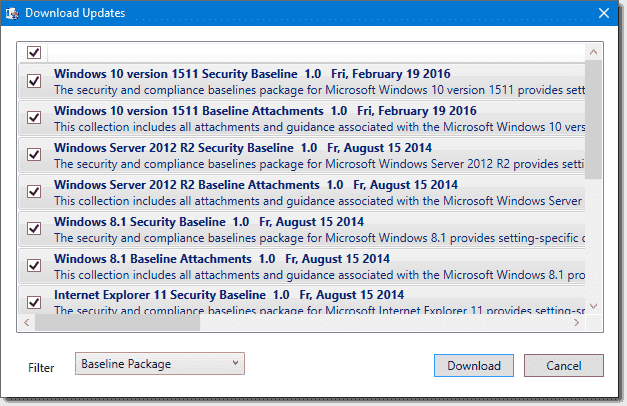 Click File > Check for Updates from within the SCM tool to query the Microsoft servers for updated baselines. The good news is that Microsoft frequently tweaks its baselines. The bad news is that your baseline library can quickly grow too large to manage efficiently. 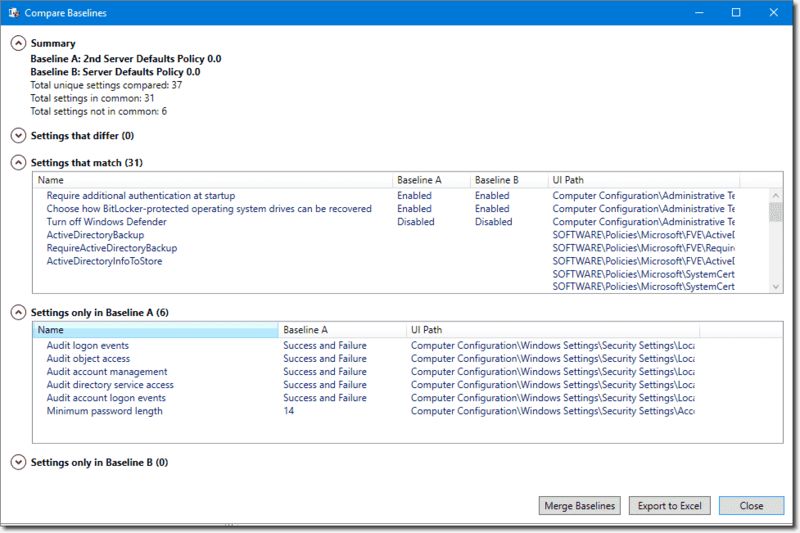 The built-in security baselines are all read-only, so you'll need to create a duplicate of any baseline you plan to modify. To duplicate a baseline, select it in the baseline library pane and then click Duplicate in the Actions pane. Give the new baseline a name, and you're ready to rumble. Customized: This is the setting you've manually added to the baseline. Because your baselines all exist in a SQL Server database, there's no save functionality; all your work is automatically committed to the database. You're not limited by the built-in baselines that Microsoft offers, or even those that you download yourself from the Internet. Suppose you want to develop new security baselines based on GPOs that are in production on your Active Directory Domain Services (AD DS) domain. Summary: Quick "roll up" of comparison results. So there you have it! 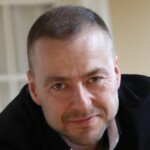 By now, you should have a good grasp as to how Security Compliance Manager works. In the forthcoming part two, we'll learn how to deploy our tweaked and tuned security baselines in both domain and workgroup environments. I was trying to install the SCM on Windows 10, but it says that SQL Server 2008 Express is not compatible. Then I installed a new version of SQL Express on my machine but the installer fails to access it. So, why Microsoft didn't updated the SQL Express version on SCM install when they updated it to 4.0? Nevermind my last comment. I was able to install on Windows 10 installing SQL Express 2014 SP1 before. Thanks! I feel the frustration as its been a nightmare getting this to install onto a remote SQL DB Server with local SCM app, it still just goes onto the internet and starts downloading SQL 2008 R2, what I do want is the option to install APP locally and install DB on to remote SQL Server. please make the next installer ask us how we want to install it! First, thank you for the guide. Second will there be a version for 2019 soon?